Yesterday I went to the AGM of the London UNISON Europe and International Committee. One of the speakers was Natasha Hickman from Cuba Solidarity Campaign who spoke about "The Miami 5". These are 5 Cubans who worked for the Cuba intelligence agencies to infiltrate and spy on extreme right wing anti-communist terrorist organisations based in the United States during the 1990's. They were arrested by the US authorities and sentenced for espionage and conspiracy to murder (which they deny). To be honest, they are obviously Cuban patriots who volunteered to spy in US and must have known the risks they would face if caught. However, it is clear that they were mainly working against right wing extremists who have murdered Cuban civilians and even western tourists in their "War" against the Castro government. It was also clearly unfair for their trials to be held in Miami which is dominated by Cuban exiles who are rabid anti-Castro. Most importantly I am still completely and utterly amazed that the United States still shames itself by continuing with an economic "war" and blockade of Cuba. This is now 50 years old. What on earth is the point? The "Cold War" is surely finished? So the US government does not like the Cuba government. So what? It doesn't stop the US trading with China? The US is acting like a regional bully and must stop the blockade, which serves no purpose whatsoever and is in fact completely counterproductive, since it serves as a rallying call for the Cuba government. I asked Natasha what is going on and she said that to some Americans the word "Cuba" is like a full moon to a werewolf. 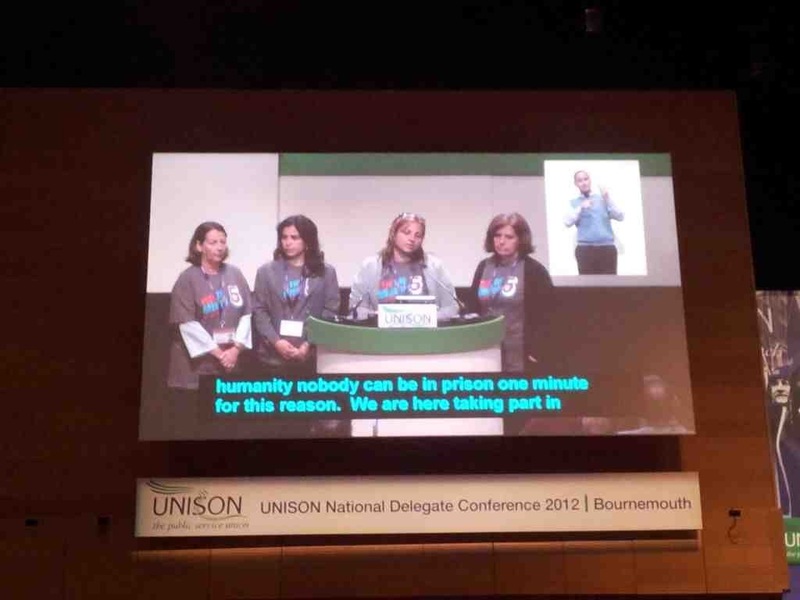 Picture is from the UNISON NDC conference where the wives of the imprisoned Cubans spoke about the hardships their families face from the years of imprisonment.